Product prices and availability are accurate as of 2019-02-05 12:42:47 UTC and are subject to change. Any price and availability information displayed on http://www.amazon.com/ at the time of purchase will apply to the purchase of this product. This Wear-Ever tapered sauce pan is ideal for making sauces and soups. Constructed from 11-gauge impact-resistant energy-efficient 3004 aluminum with TriVent silicone handle. The trivent silicone handle is rated at 450-DegreeF (232-DegreeC) for stovetop or oven use. Heat is spread evenly along base and sidewalls. This TriVent handle has a unique ergonomic design that reduces stress and fatigue. 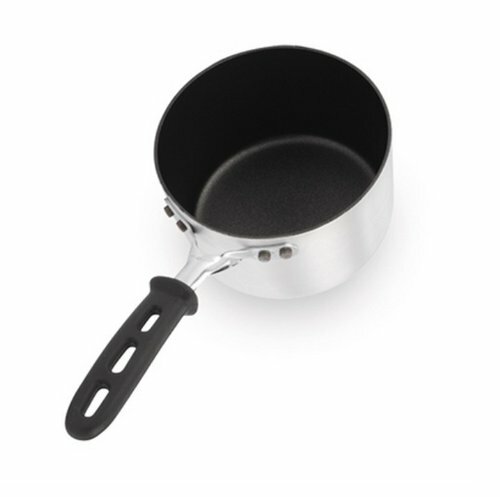 The vented handle design reduces heat transfer from pan to handle, maximizing operator comfort. 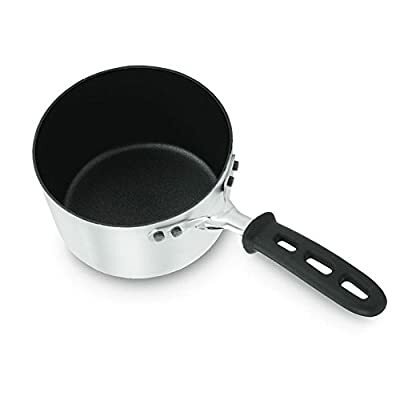 This tapered sauce pan has steel coat x3 interior premium non-stick coating which easy to clean-up, reduces need for cooking oil. Double-thick rims remain round for a better cover fit and double-thick bottoms help resist denting. This sauce pan fitted with the evertite riveting system. Beadles rims for easy cleaning. NSF listed. Comes with 4-1/2-quart capacity. Measures 9-1/4-inch top diameter by 7-9/16-inch bottom diameter by 5-inch inside depth.